Wondering what to do this long weekend? 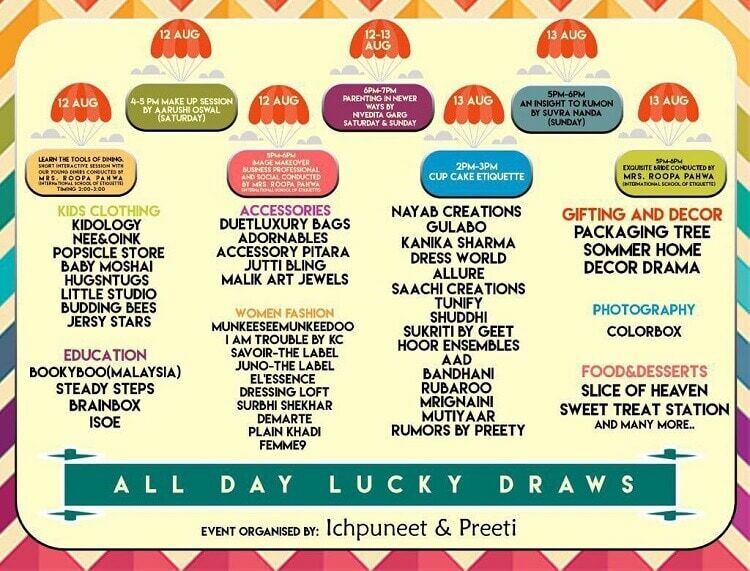 Head to Little Circus, a lifestyle exhibition in Ludhiana which has something to offer for one & all. It has Kids Clothing, Education, Gifting & Décor along with the usual Women Fashion & Accessories. With so many distractions, you don’t even have to worry about your child getting bored while you shop.That’s not all, they also have various workshops and eatery stalls for people who aren’t really interested in just shopping. It’s the perfect long weekend to Shop, Learn & Eat! For more information, you can check them on Facebook here. They have all games and lucky draws to keep you busy and going. It’s one of a kind exhibition which has many kids clothing brands and a great learning experience on various aspects. Don’t miss for it will be an experience to relish. Globetrotter with a knack for multitasking. Practicing freedom of expression, still writing my biography so continue reading and discovering. What’s Brewing : Cold Brew is Your Ultimate Go-To for a Perfect Cuppa Coffee! The road to heaven – Untouched! When do we really notice what’s new and happening in the city? The answer: When we go on a Gedhi!